First, Monday remains on track to be cold and wet. Get the waterproof winter coats out because low 40s on the thermometer, rain, and a north wind gusting to 20-25 mph is NOT going to feel great. The trend with this system the past 24 hours though, as far as the wintry precipitation is concerned, is positive (unless you want a snow day). 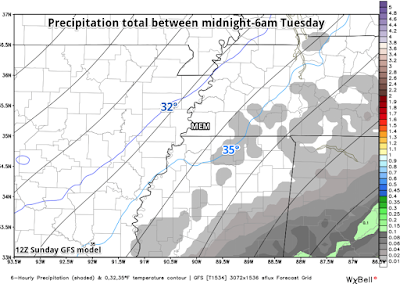 As discussed in yesterday's blog, models tend to move the precipitation out faster and the cold air in slower as we draw nearer to an event. Not always, but many times. That is happening this time. A general drying trend should take place, especially after midnight (early Tuesday). In addition, the "sufficiently-cold" temperatures for snow production are dragging their heels just a bit. The result is that I have pulled all snow from the forecast on Monday night. 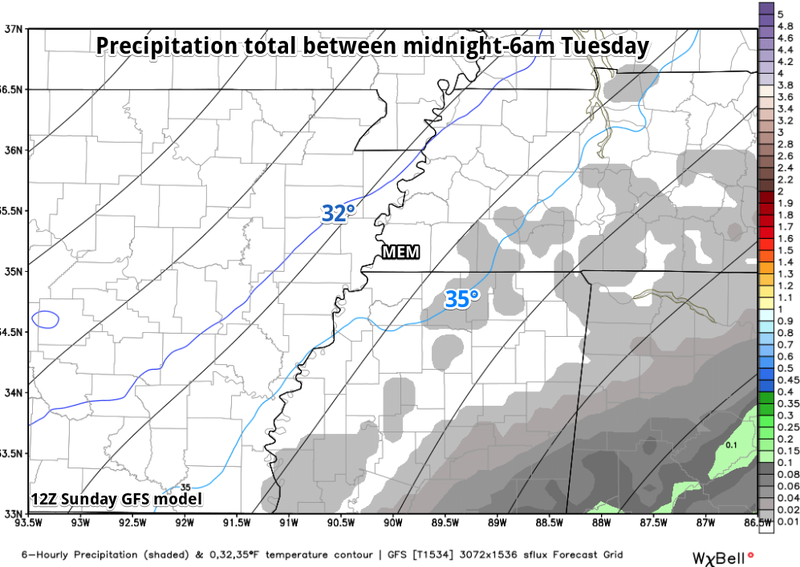 There could be a few flurries in the wee hours Tuesday morning with temperatures just above freezing. You likely wouldn't even see them unless you work on the FedEx or UPS ramp overnight. Tuesday looks to be dry and very cold with highs in the 30s and wind chills in the 20s. I've also become more "negative Nelly" on sunshine Tuesday. Yuck. The negativity on Tuesday sunshine is directly influenced by another system that now looks like it might have an impact on mid-week weather. If it does, 3 T's - timing, track, and temperatures - will play major roles in its impact on our area. As the main system Tuesday departs to our northeast, a piece of upper level energy now looks to be orphaned behind over the southern plains. Multiple models are now forecasting that energy to strengthen into a potent upper level low and move near the Mid-South. Because this feature is just now being picked up by models, the track and speed (timing) are different between the respective models. The only certainty is that the solutions will change over the coming days, so I'm not ready to get too excited by it. But apparently some of your weather crap apps are! We'll keep you posted. 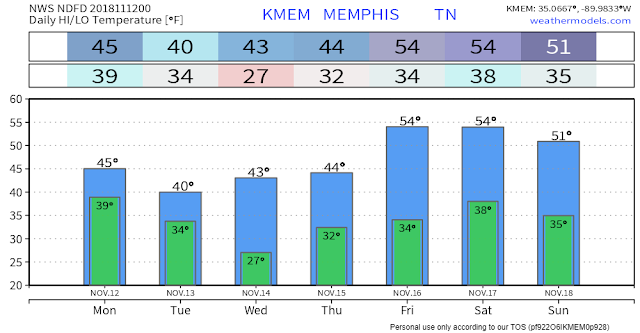 In the meantime, here's a look at the temperatures for the week ahead, subject to change based on the ultimate fate of the mid-week system. The latest forecast can always be found in our mobile app or on the website. Links below. Stay warm!